Do you like fashion and would you like to create stylish clothes? We selected for you 10 fashion spheres where you could try to find your place. All these ideas are useful both for professionals and those who were never engaged in sewing, drawing or creation of clothes earlier. You may try any of these spheres. 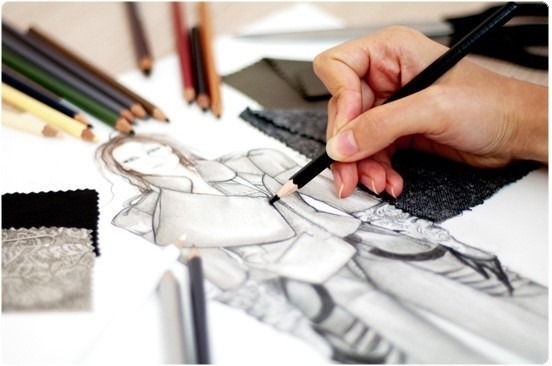 All you need is love to fashion, good taste and training in skills of the clothes design. So, we want to draw your attention to 10 ready ideas – how it is possible to transform the passion to fashion and to begin your fashion business. It is an item of the wardrobe which is in demand both for men and for women. Therefore production and realisation of belts can be a very favourable enterprise. Here the most difficult thing is to think up the creative idea of unusual models. Design the unique T-shirts. There may be models with unusual drawings, with original prints (for example, take into accounts creation of T-shirts from drawings of small children). The target audience is quite wide therefore you can start to sell products and to begin to get enough profit quite soon. This niche will always be demanded, the competition is small here and, most likely, in your city you will be able to receive a fast response. It is possible to produce not just clothes for pregnant women, but also the elegant dresses or stylish overalls. There is a lot of wedding studios, but you can go further. You may create different models of dresses and do not sell them, but lease. Demand will be always sufficient because there are always brides who want a designer dress, but are not ready to spend much. Choose sport which you like most of all and create clothes for athletes (skates, ballroom dances, tango, etc.). Also you can create the fashionable lines of things for training in the fitness centres. There are not enough brands which specialises in this segment. We got used that fashion has to make us brighter and more interesting, but many women want the opposite – to look modest, traditional and not to try to follow the recent trends. If it is interesting to you, this niche is quite attractive – few brands create similar things. Create of the outfits for mother and the daughter or for the father and the son. Such clothes are bought both for everyday life, and for photoshoots. You can create absolutely usual things (T-shirts, polo), but to add an identical logo on adult and children’s things. Do you live in the city where there is a lot of sun? Start to produce clothes with UV protection – dresses from special fabric that saves from ultraviolet – for those who spend much time in the sun. Now it is a popular trend in the kid’s clothes – to buy the tops for the beach made of special fabrics. Such clothes is not only for children, but also for adults. Most often it’s quite difficult to find beautiful and fashionable clothes for women after 50 years. You can start the line of things which will help the woman to look young and modern despite her age. Create dresses of the most different styles and designs. Women will always wear dresses and if they learn that it is possible for to find dresses absolutely in different styles in your brand, then they will buy only from you.